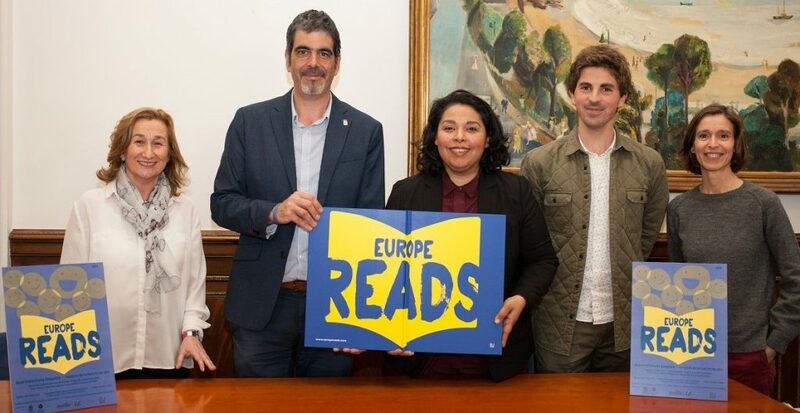 On Tuesday, April the second over 100 people including babies and toddlers gathered in the City Hall of San Sebastián to support the EUROPE READS Campaign for reading aloud, at a reading aloud activity for children aged 0-3, organised by Asociación Artística-Sociocultural Mestiza in collaboration with Donostia Kultura. 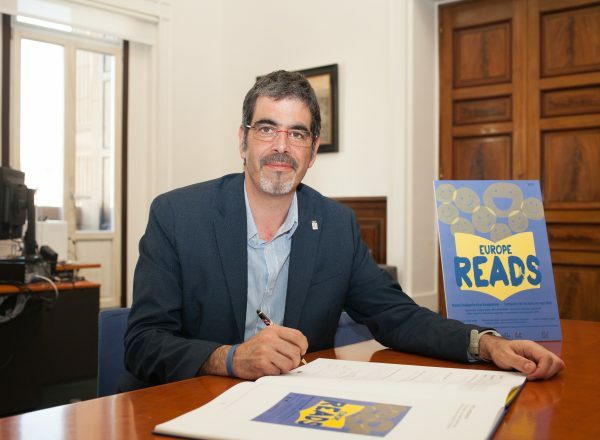 Approximately 40 children with their parents participated with much excitement and energy, singing and reading aloud in three languages – Basque, Spanish and English. 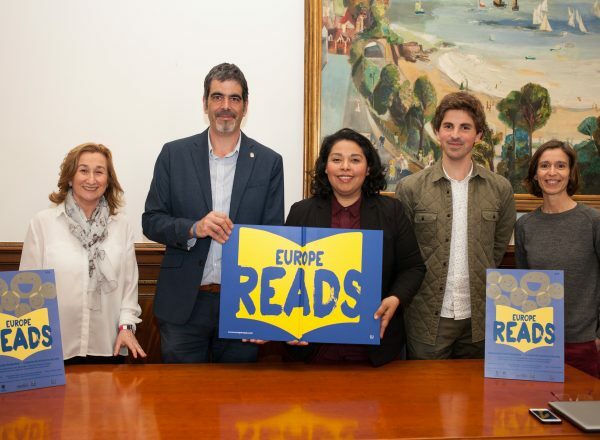 The event was attended by Mr. Jon Insauti, City Councillor of Culture, Mr. Jaime Otamendi, Director of Donostia Kultura and Mrs. Arantza Urkia, Director of Donostia-San Sebastián Public Libraries. 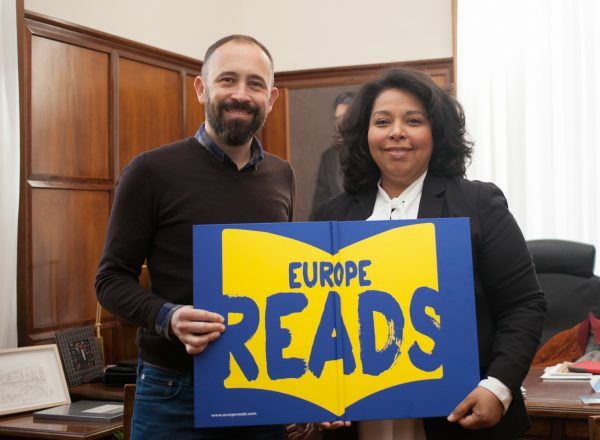 The campaign was officially presented on the 26th of March by the Mayor of Donostia-San Sebastián, Mr. Eneko Goia Laso, who also signed the EUROPE READS book. 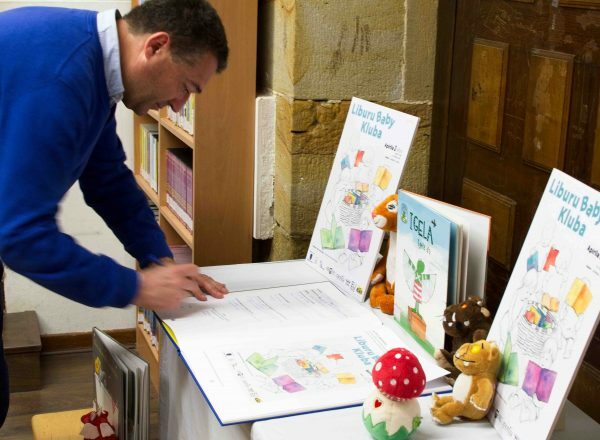 Earlier on the same day, parents and babies gathered in the Public Library at the City of Ordizia, Gipuzkoa to participate in a similar activity. 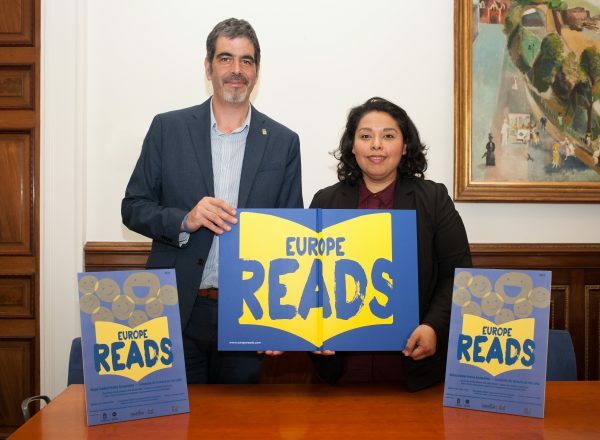 Asociación Artística-Sociocultural Mestiza also organised the event which was hosted by the Mayor of Ordizia, Mr. José Miguel Santamaria Eceiza, who showed his support to the EUROPE READS Campaign by signing the EUROPE READS book. 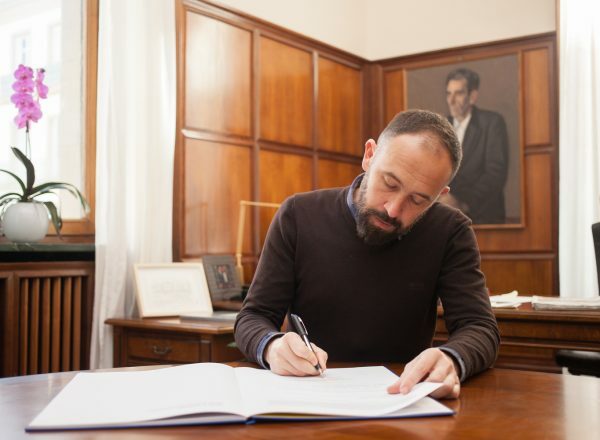 The EUROPE READS Campaign has also been signed by the Deputy of Culture, Tourism, Youth and Sports of the Provincial Council of Gipuzkoa, Mr. Denis Itxaso González. 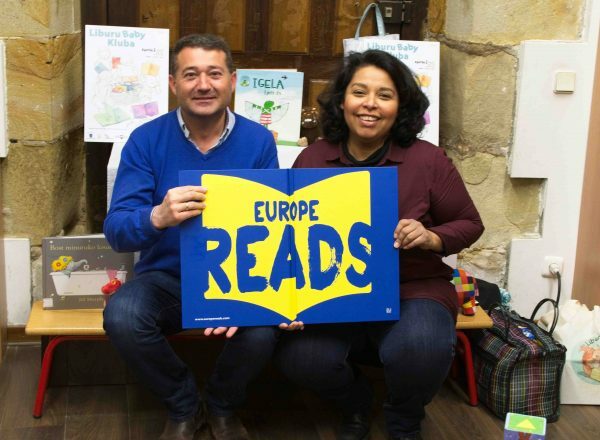 Mrs. Mónica Luna Arriola, artist and illustrator who closely collaborates with MESTIZA, created a beautiful illustration on the EUROPE READS book showing the power of the reading aloud sound waves that take children to the fantasy world of literature. 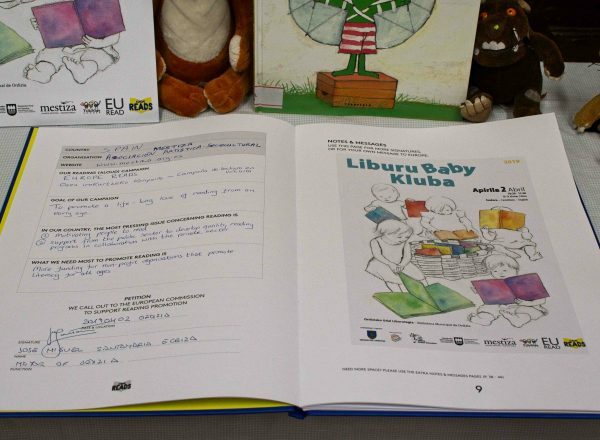 All babies and toddlers attending both events were presented with a beautiful package of free books to take home. 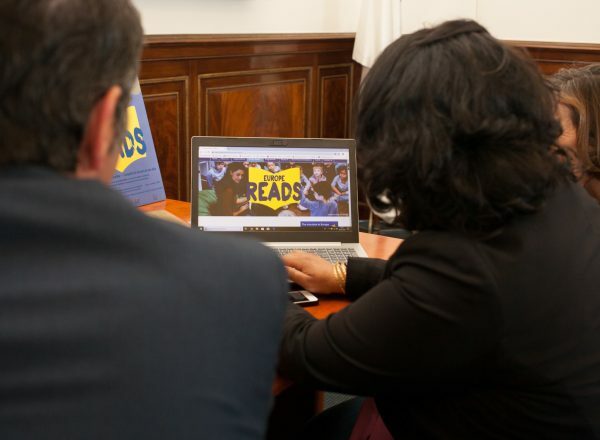 Feedback from both events was extremely positive, with official representatives and attendees expressing a desire to continue supporting MESTIZA and EURead.